Hong Kong is one of the most dynamic city in the world where “East meets West”. People from all over the world would like to visit this international city once in a lifetime, many others fall in love with this city at first sight and decide to move here. Whether you are about to come to Hong Kong, regularly visit or have already settled here, it is not a bad idea to read more travel information about this great city. Discover Hong Kong is the official tourism guide from Hong Kong Tourism Board. You can find all sort of useful information for tourists there. This independent, non-commercial website was established in 2007. The author spends a few months in Hong Kong every year, and has been visiting the city regularly for more than twenty years. 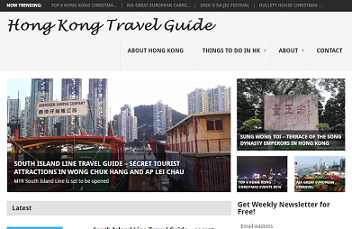 You can find travel news about Hong Kong, “off the beaten track” attractions and more on the site. This informative website is managed by Janny, a Hongkonger who moved to the U.S. to form her family in 2002. You can read more about shopping, hotels, restaurants and tips of visiting Hong Kong on the website. 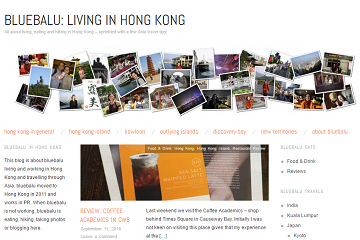 A very comprehensive Hong Kong Travel Blog run by Miriam and Chris Hoffmann. They are a mother and son team who once lived in Hong Kong. The family is passionate about travelling and site building. They are now living in Germany and keep sharing their love, experiences, pictures and recommendations for the city. 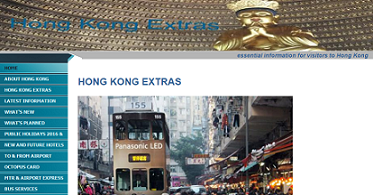 This simple guide is about eating, shopping, accommodation and useful information of Hong Kong. 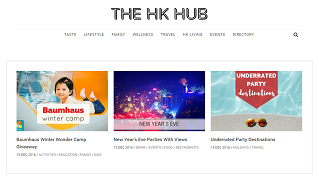 A travel website about Hong Kong attractions, shopping, food and culture, private walking tours and more managed by a travel agency. 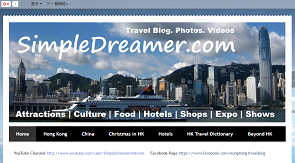 Simple Dreamer is a travel guide that features Hong Kong attractions, hotels, trade shows, travel tips and more. 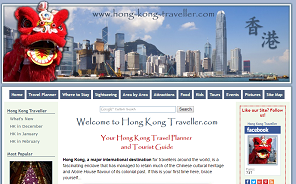 This website aims at assisting Hong Kong travelers and providing useful information. The founders hope you find this website helpful and fun. This blog is about the life of bluebalu in Hong Kong who moved to the city in 2011. She loves eating, hiking, taking photos and travelling through Asia. Anna has been running this nice blog since 2010. Many Hong Kong attractions, culture and festivals are covered in details. 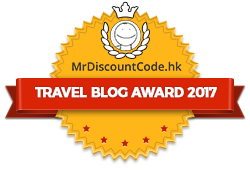 This great blog is run by Chris Tin, a Chinese-American expatriate, who would like to share Hong Kong travel information and news about the Asia Miles frequent flyer program with you. If you are looking for some best deals of flight and hotel in Hong Kong, visit this blog. 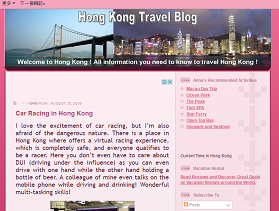 Hong Kong Travel Blog provides details about Hong Kong attractions, food, culture and heritage, nature and outdoors, festivals and events and more. The author once lived and worked in England. I know that I have strong personal bias in favour of my own blog. However, if one doesn’t dream, one can never achieve his or her goals. Catherine Stewart from England is the person in charge of this great website. This site is all about food, family, fitness and lifestyle. Catherine and her family have been living in Hong Kong since 2008. Hong Kong Hustle is very rich in content featuring fashion, music, arts, nightlife, entertainment, local culture and events in Hong Kong. Little Steps Asia is a leading family travel guide founded in 2011 by Shea Stanley who moved to Hong Kong in 2006. This website gives ideas to parents on what to do, buy, and discover in Asia and beyond. Thank you for reading this post and I hope you enjoy it. Please like us on Facebook and share our post! To get free newsletter and updates from our Hong Kong Travel Guide in your inbox, simply sign up at the top of the right-handed sidebar. 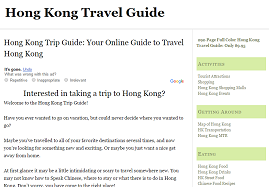 What are your favorite top Hong Kong travel blogs, guide or websites? Please feel free to leave us comments. If you are a travel blogger who have written about Hong Kong and would like to be listed here, please feel free to contact us. Katy Yam, Your information is so effective for the travel guideline. I have read your post. I didn’t know Hong Kong travel. Now I Knew much. I shall be waiting for your next post.